(ArmsVault.com) – Owning a firearm comes with responsibility. It is very important to securely store your firearms, but we believe it’s also important to be able to easily access your firearms if the need may arise. 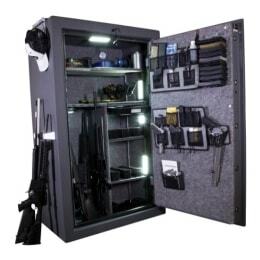 The new Lockdown® LED Vault Lights allow you to maintain secure storage while providing adequate light to easily retrieve your firearm and other stored items when needed. The Cordless 75 LED Vault Light attaches easily to the inside of any vault with the included ultra-strong magnet or screw attachment. This handy cordless light is built to last and will illuminate the dark corners and shelves of any safe. The Automatic Cordless 25 LED Vault Light has an automatic sensor that turns the light on when you open the vault, and turns off after you close the vault. 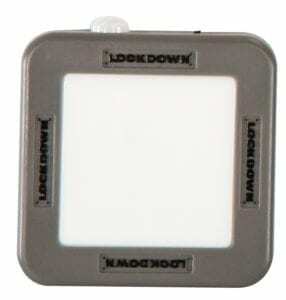 The sensor has a range of five meters and conveniently runs on 3 AAA batteries. This innovative vault light is compact, affordable and is a must-have for any vault owner. Based in Columbia, Missouri, and owned by Smith & Wesson Holding Corporation, Battenfeld Technologies develops and sells shooting, reloading, gunsmithing, and gun cleaning supplies under several popular, premium brands, including innovative, top quality products under Battenfeld Technologies, Inc., including: Caldwell® Shooting Supplies; Wheeler® Engineering; Tipton® Gun Cleaning Supplies; Frankford Arsenal® Reloading Tools; Lockdown® Vault Accessories; Hooyman® Premium Tree Saws; Smith & Wesson® Accessories; M&P® Accessories; Thompson/Center Arms® Accessories; Schrade®, Old Timer®, and Uncle Henry® knives and specialty tools; and Imperial™ knives. For more information about Battenfeld Technologies, Inc. products, visit www.BTIbrands.com or call 573-445-9200.